For articles that were published before 31st March 2018, please refer to Springer Nature website at https://scientificphoneapps.springeropen.com. New articles will be published here with effect from 1st April 2018. Scientific Phone Apps and Mobile Devices is a peer-reviewed open access journal published under APD SKEG Pte Ltd. The first specialized journal in this field, it publishes high quality scientific reports on mobile apps and smartphone dependent devices such as add-on sensors or modifications. Allowing for not only academic recognition for the broader scientific community, it also brings awareness to the general public on the development of such tools. The journal accepts full research articles, application notes, reviews, editorials, and correspondences related to the development of research or education apps in all disciplines. The apps or mobile add-on devices should aim at replacing bulky equipment or to enable certain features on smartphones, phablets or tablets. The focus would be on the functionality and convenience. 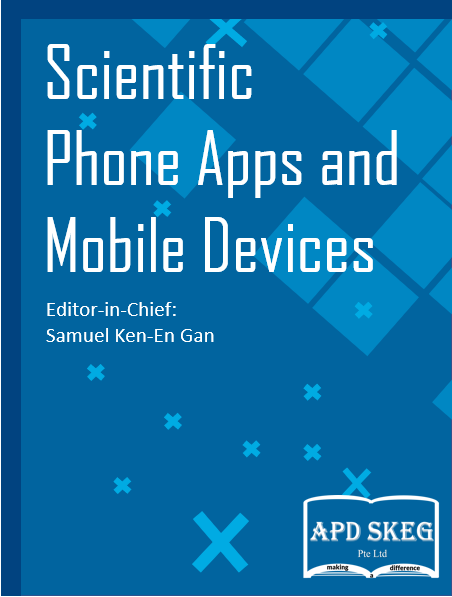 Please submit your manuscript here and email spamdeditorial@apdskeg.com with the subject "Submission to Scientific Phone Apps and Mobile Devices", attaching your cover letter and and editable manuscript format.